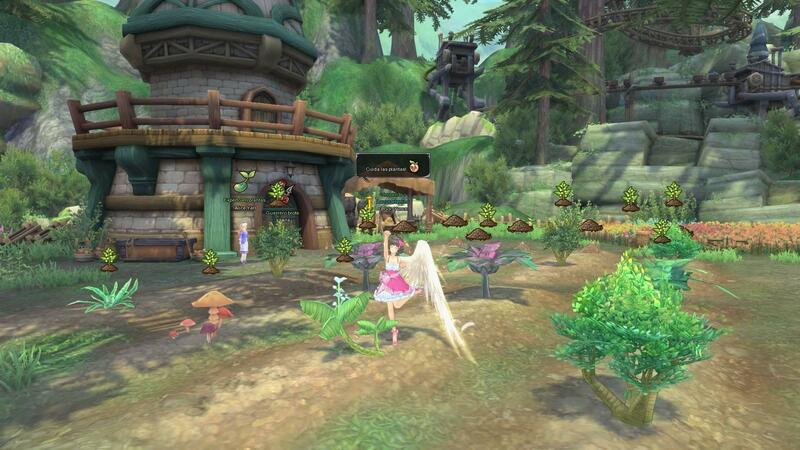 Aura Kingdom is a Free to play Fantasy MMORPG game genre, developers by X-Legend Entertainment for Windows Platforms. With the absence of Gaia’s heroes, Reinhardt and Suna, the world is vulnerable to the various threats that these two kept at bay. The appearance of the unknown black armoured knight and his army of Demons and necrotic creatures that his command the world is once more threatened and looks to new heroes to rescue it. The world itself has awoken special abilities and spiritual powers in certain individuals, making this person an Envoy of Gaia, those who are destined to save the world and destroy the evil from its lands. In Aura Kingdom these new Envoy’s of Gaia emerge as one of eight different classes, each with their own unique weapons, skills and roles within battle: the well armoured defensive Guardian, the acrobatic and agile Duellist, the gigantic axe wielding Ravager, the elemental Wizard, the shadowy Sorcerer, the charismatic and encouraging Bard, the mechanised cannon toting Grenadier and the dual wielding Gunslinger, as well as a mystery ninth class. Each class has various strengths and weaknesses which are easily displayed upon class selection showing their proficiency with Single Targets, Area of Effects, Defensive capabilities, Evasive tactics, Heal abilities and Support. When exploring the vast and beautiful world, from charming fishing villages, vibrant fantasy environments and huge sprawling cities players will not make their journey alone. From each Envoy a companion manifests from all that is good in the Envoy, personified into an Eidolon that will follow them on their journey and aid them in battle. Each Eidolon has its own abilities and can level up through the game to increase their skills and powers so that they continue to be a much needed ally in the players’ adventure and standing strong together to battle the encroaching darkness. To start with players have four different Eidolon’s that they can choose from, each displaying their abilities, strengths and weaknesses as if they were their own class. The game itself is very quest focused, from the offset players are given tasks to complete which will earn them a variety of items, gold and of course XP needed to level up so that they can become more powerful, increase their skills and equip improved gear and items. Throughout a player travels they will constantly be asked to perform tasks, initially ranging from the simple and mundane and slowly progressing into more challenging and dangerous quests for notable characters and heroes. Players Journal shows their main storyline quests and side quests, but they can also take on Fame quests to earn fame points and some “achievement” based quests that are side quests that can earn them loyalty points and special items. Using the Fortification system players are able to further improve their weapons and armour and add bonuses to their attacks and defensive capabilities by using fragments, weapon/armour fortification scrolls and the item that they wish to enhance. Fragments are gained using the salvage ability on an unwonted piece, the better the item the more fragments that are received. There is a chance of failure when trying to use the fortification system to boost an item, and resources are used up in the process, however it with each failure a player earns “potential points” that max out at 100 points and when this is reached it means the next time they try to fortify it will instantly succeed. Within the game there are also other ways to enhance abilities using the refining system and also secret stone items that will improve a given skill. Away from PVE players can also engage in PVP combat, where players can test their mettle against each other in a variety of PVP arenas. The process is simple and players simply click the crossed swords on their mini map, which displays when the arenas are open, the rules of the arena and what prizes will be available. When active players can click to join the battle where they are matched up against other players in fast-paced exciting combat.